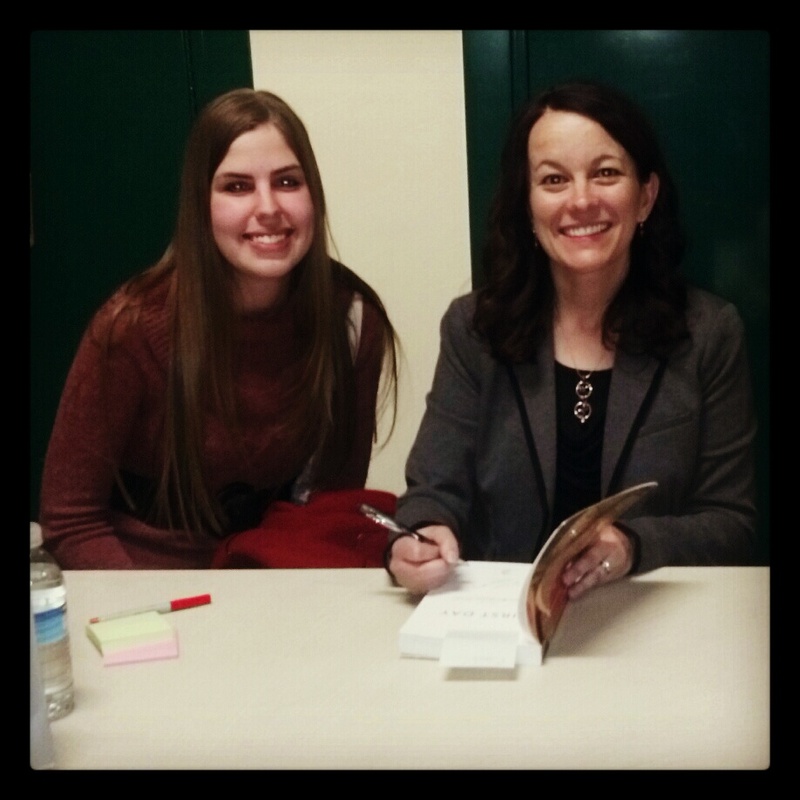 The Broke and the Bookish : Launch Party for "Reached" and the fun that Kimberly had there. 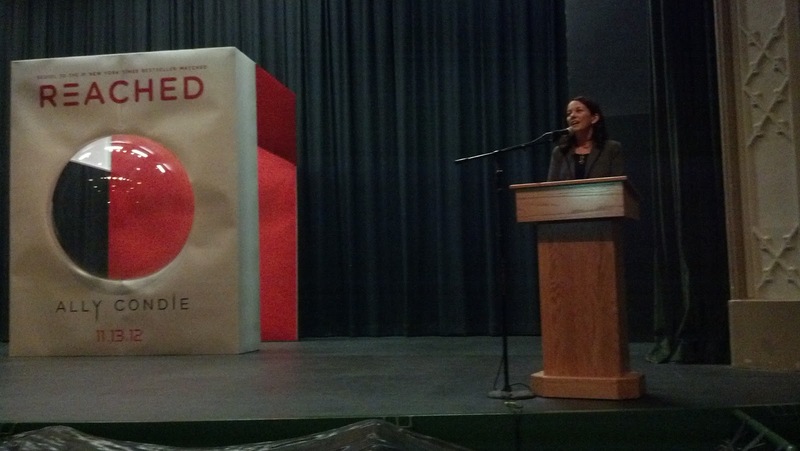 Launch Party for "Reached" and the fun that Kimberly had there. 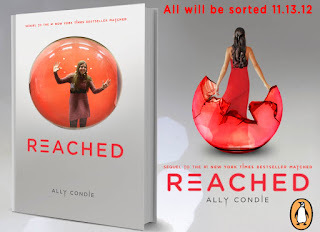 My experience at the launch party for Ally Condie's "Reached"
Question: Was it hard for you to choose between Xander and Ky? Ally: I didn't really even know who it was going to be. It wasn't until about a third of the way into Reached that I knew who it was going to be. Question: How do you feel now that it is over? Ally: It doesn't really feel done yet. I want to hang onto it, savor it for a while. Question: The first book had a theme of poetry, the second was art... What's the third? Ally: Music. I hope so at least! That's what I intended! We talked about several other things, but you don't really want to read the whole thing, do you? Plus, I kinda got distracted by the conversation and forgotten about taking notes. We asked her what she was currently reading and she told us she had just finished Michael Phelps' autobiography. She told us she had really enjoyed it, admired and was astonished at the amount of dedication it takes. She also mentioned one of the highlights of Reached being released was that John Green had read Reached and really enjoyed it, AND tweeted about it! Ally revealed a few other tidbits during the main event. One audience member asked about the movie. If you didn't already know, the rights to the Matched Trilogy has been purchased by Disney! She told us that she didn't have any input on who would play who but did say that if she had a choice Nathan Fillion would be in there somewhere. When asked who her favorite character to write about she said that Indie was a surprising favorite. She was asked if she typed or hand wrote her stories and she said that mostly it was typing, but if she ever gets stuck she pulls out a paper and starts writing it out by hand, once she gets back on a roll she switches back to the computer. One of the last questions she was asked was what did she consider her greatest accomplishment? (Being published didn't count.) She replied that it was having a family, to her that is the greatest thing she's done. 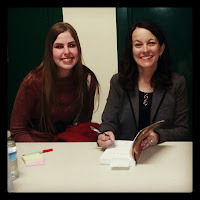 I had a blast, it was exciting to be there, meet Ally and some more bookish friends. 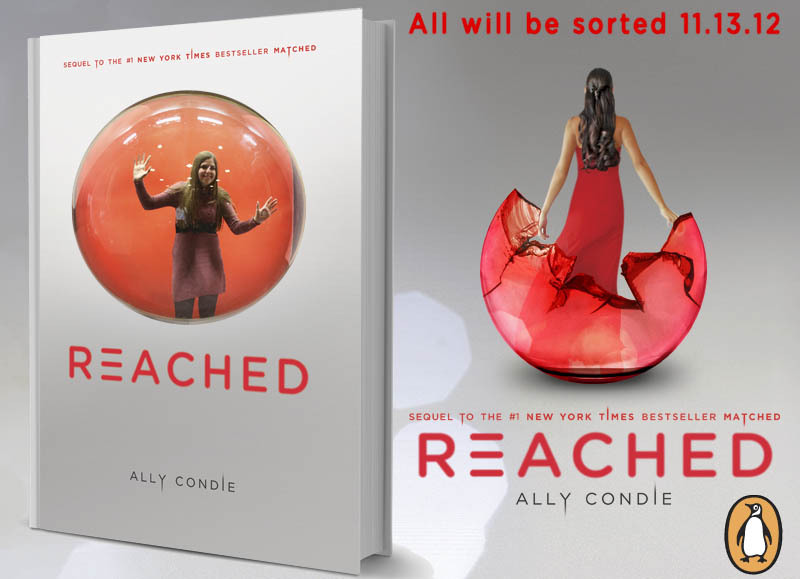 I'm not really sure how to wrap this post up, so here is a picture of me in the bubble of the cover of Reached. Thanks for blogging about this! When you mentioned it a few weeks ago I was so bummed that I wouldn't be able to go! It sounds like such a cool experience. awesome! i just finished matched. Great wrapup, Kimberly! I need to read this series! I HAVE met her though at BEA and she was super nice! It was so so fun to see you there even though I felt like a total goof ball in my Cassia Matched dress haha! Ally was so wonderful as usual. I've finally started Reached and I'm definitely enjoying it.